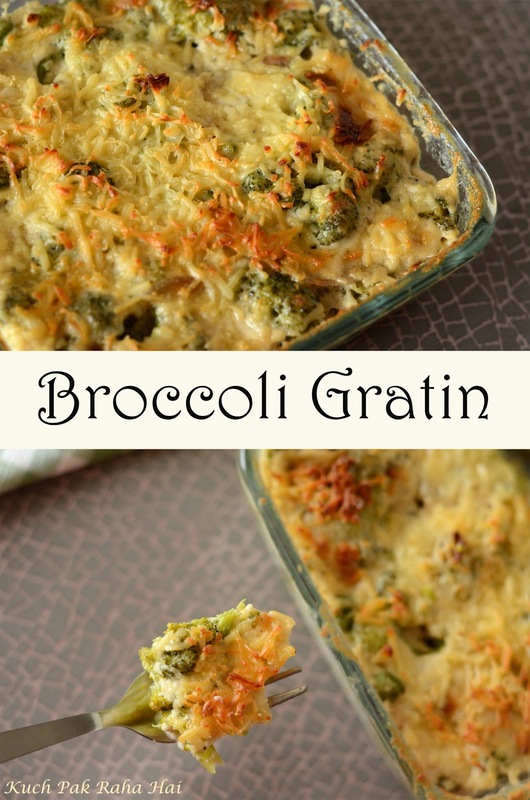 Broccoli Gratin is a delightful combination of broccoli baked in rich creamy white sauce along with lots of cheese. 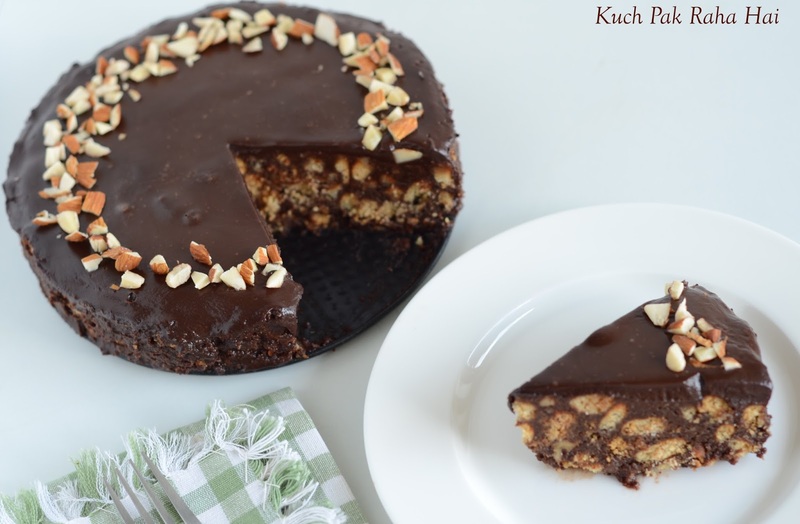 It is a perfect to make for parties, brunches or dinners. 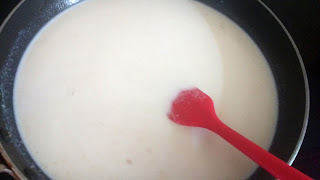 I don't think there is anyone who does not love white sauce especially when it is so cheesy, yummy and on top of it baked to perfection but many of us hesitate to make it regularly or for kids because of all purpose flour or "Maida" used in its preparation. Also, Whenever it comes to making pasta(which is another not a very healthy thing), our kids always demand for white sauce variety only. 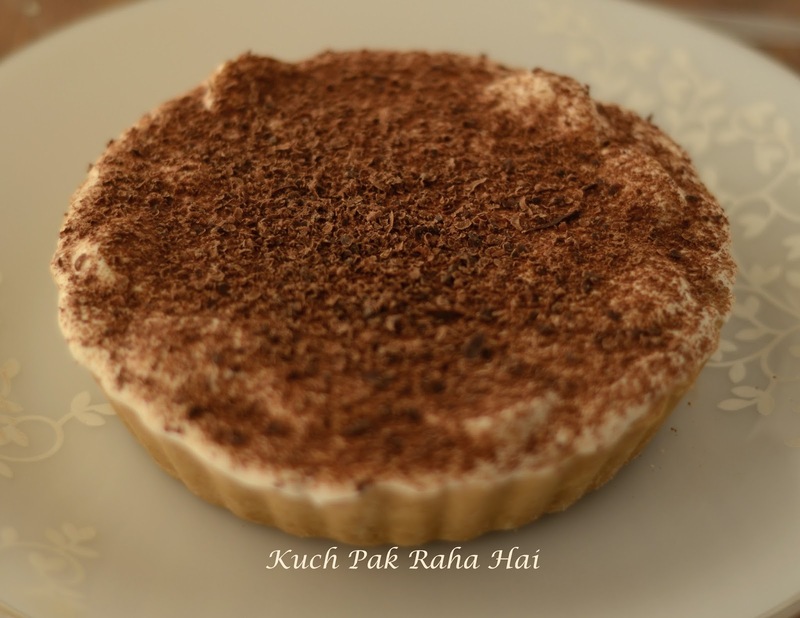 So in this post I have tried to bring things into balance by combining taste along with the health. 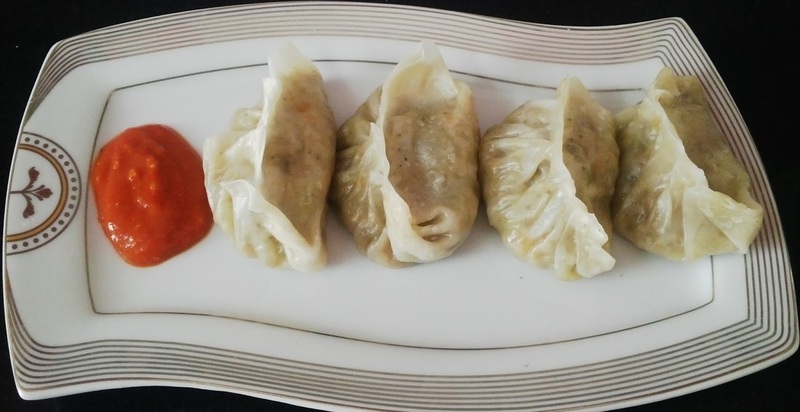 The white sauce here has been prepared using whole wheat flour or "Aata". In preparation of regular white sauce, we generally use butter, all purpose flour(maida) and milk. 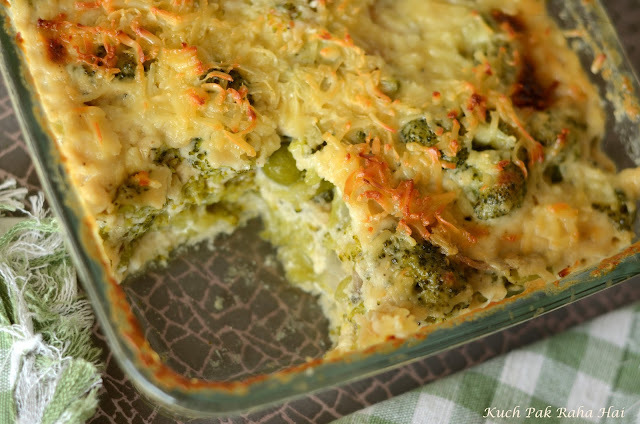 In this Broccoli Gratin recipe, the ingredients have been given a slight healthy twist. 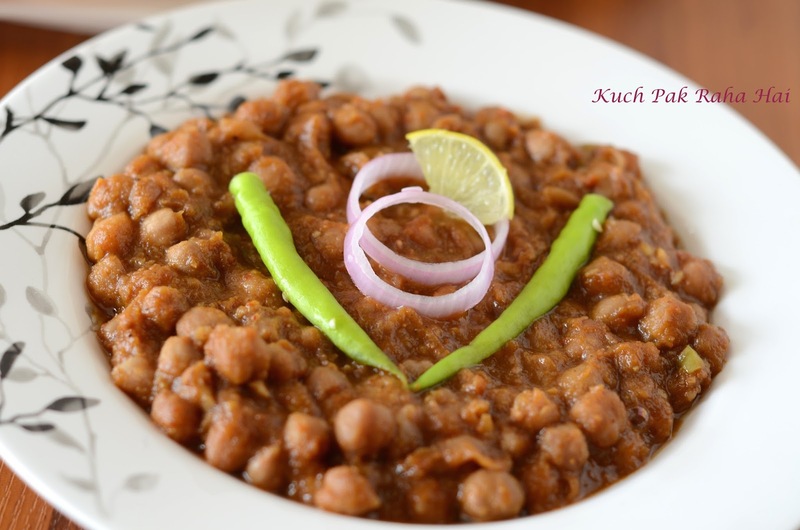 Butter is replaced with Olive Oil, Maida is replaced with whole wheat flour or "Aata" and toned milk has been used in preparation of sauce in order to bring down the fat percentage. It is then combined with broccoli and peas which are two really healthy green vegetables. 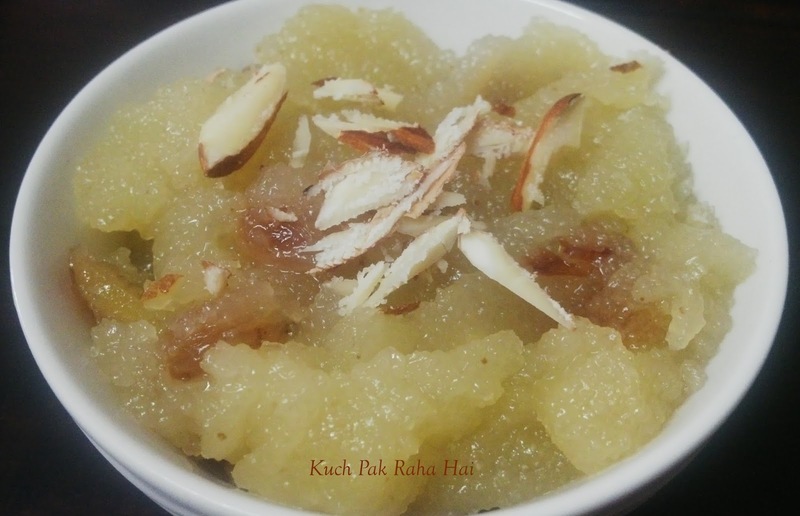 The dish is flavoured using sauteed onions and garlic. For seasoning black pepper and oregano is used. 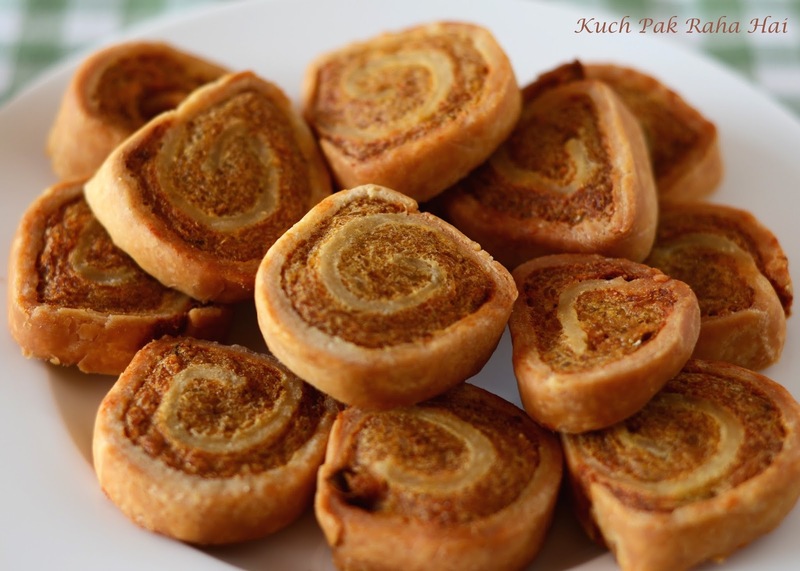 You can also use chilly flakes or ready made Italian seasoning for it. It is winter time and also the best season for getting fresh healthy green vegetables in Indian market. 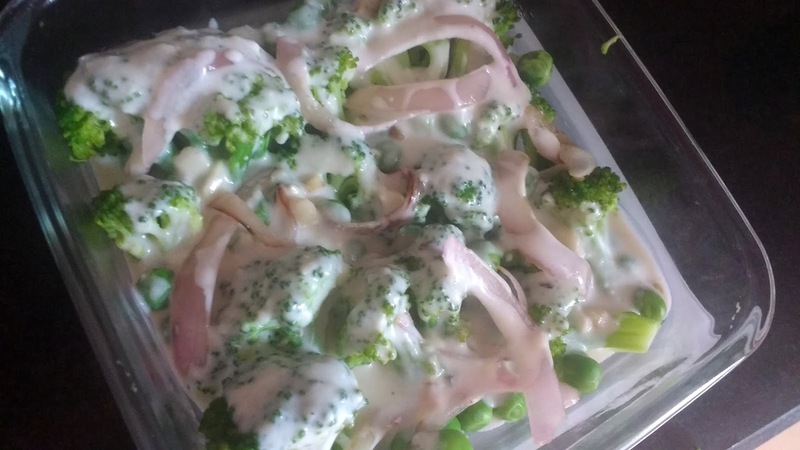 This recipe would definitely be liked by kids as it contains lots of white sauce, cheese and yes also a reason for you to be happy as it will make those fussy eaters eat their portion of broccoli. If you are making this recipe for someone who is diet conscious or trying to make your kids stay away from processed cheese then feel free to skip grated cheese in the recipe, as it would still taste good. 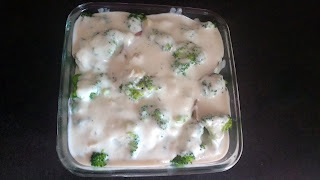 If you want to make whole wheat white sauce pasta, then follow the exact proportions and recipe of white sauce as mentioned in this post; just reduce the quantity of broccoli used and replace it with boiled pasta. 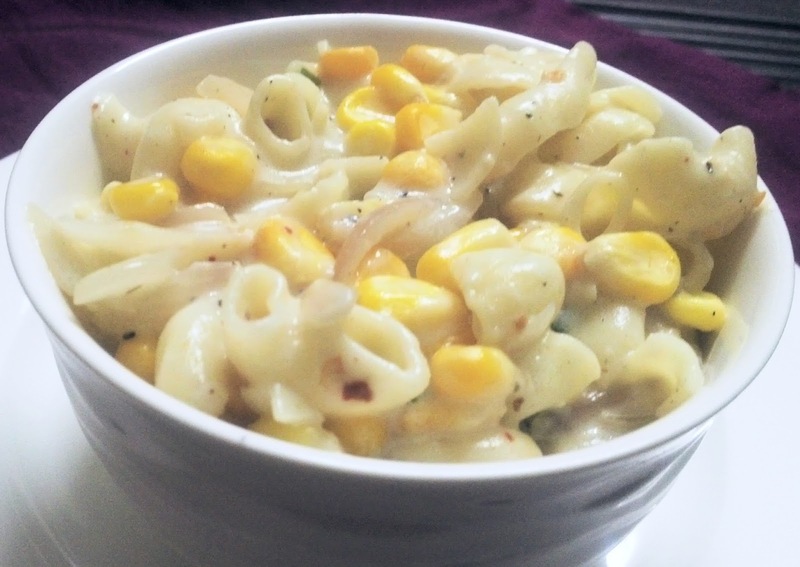 For checking out the recipe of White sauce pasta made using APF, click here. 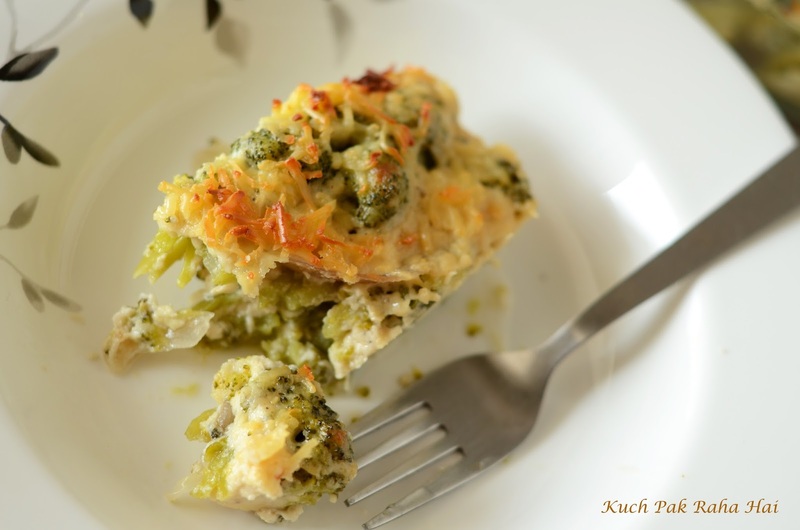 Hope you would like this delicious creamy Broccoli Gratin recipe!! 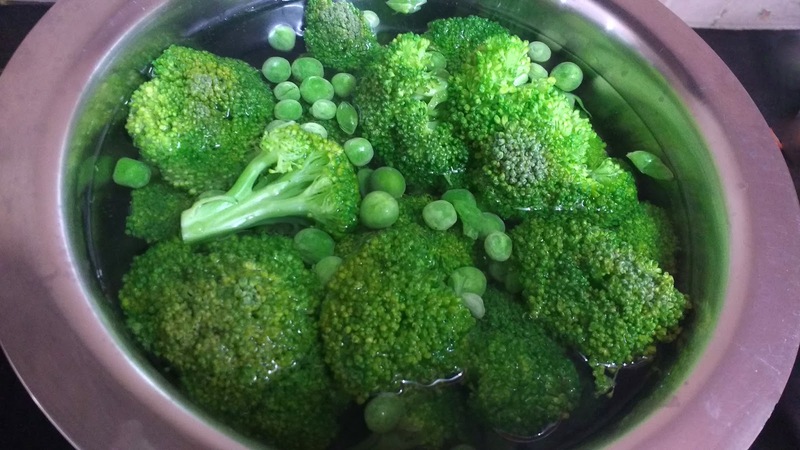 Wash and clean the broccoli florets thoroughly. 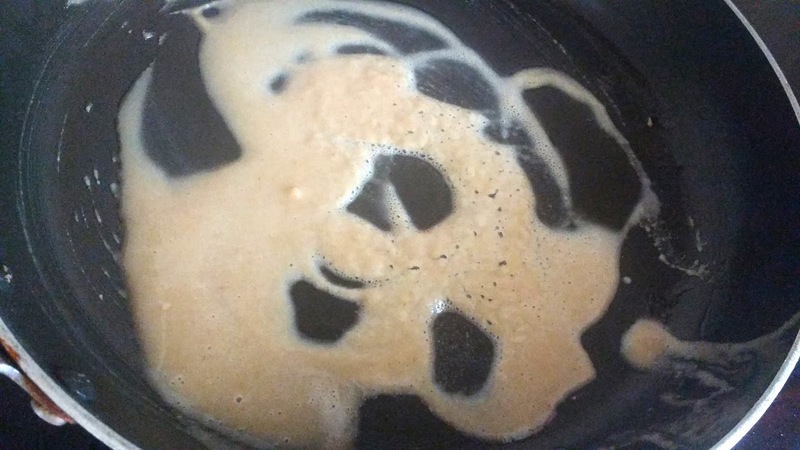 Take some water in a pan and bring it to boil. Add salt to it. In boiling water, add broccoli and peas. Let them cook in boiling water for 3 minutes. Switch off the flame and drain all the water. 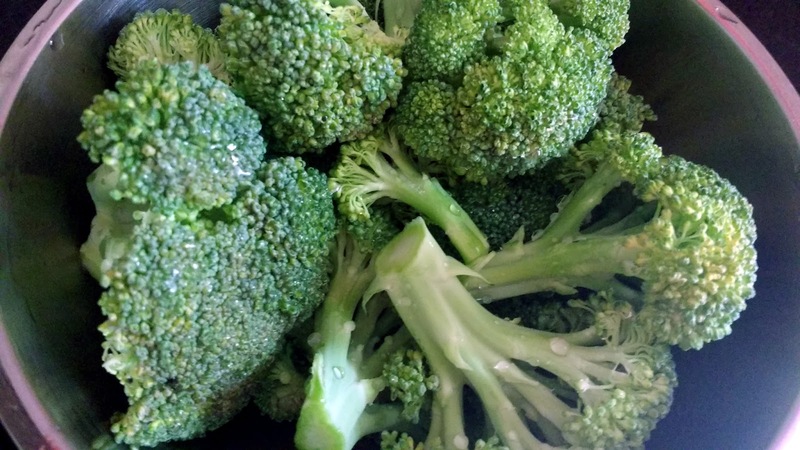 Keep this blanched broccoli and peas aside. 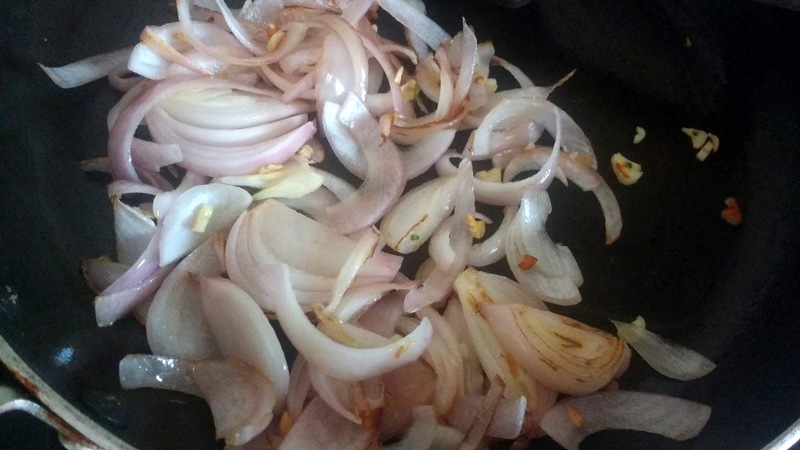 Chop the onions and garlic cloves. Heat 1 tsp olive oil in a non stick or heavy bottomed pan. Sauté the onions and garlic cloves in it for 2-3 minutes. Keep them aside. In this step we will prepare roux using whole wheat flour and olive oil. 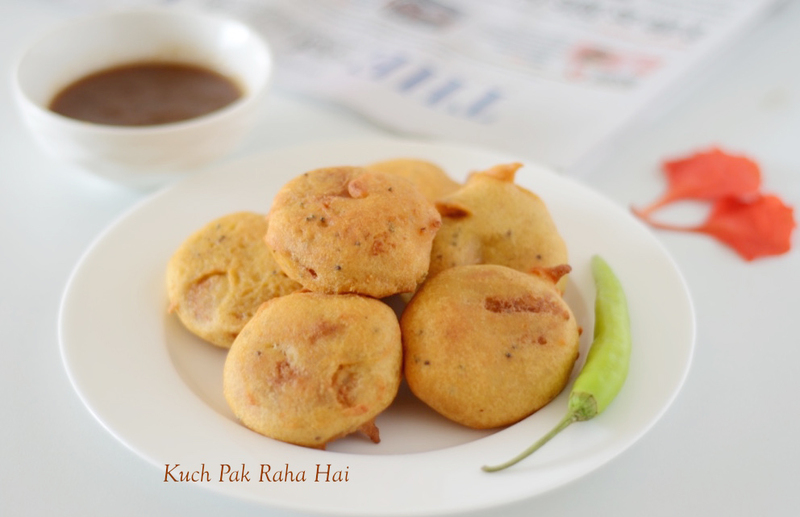 Roux is referred to mixture of fat and flour which is used in making/thickening sauces. Heat 2 tbsp olive oil in the same pan. Add whole wheat flour to it. On Medium low flame let the flour roast in oil till it slightly changes colour. 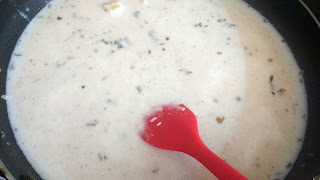 Keeping the flame to low, add milk to the pan while continuous stirring. Stirring is important as it prevents the formation of any lumps. Add salt, black pepper and oregano to it. 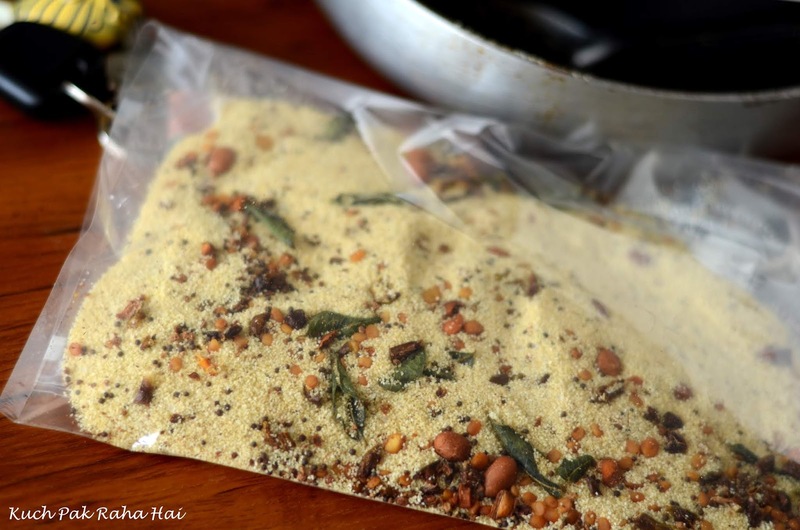 You can even use chilly flakes or ready made Italian seasoning mixture. 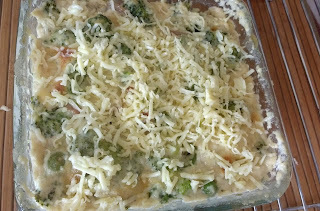 Add 1/4 cup of grated cheese to it. Save the remaining 1/4 cup for garnishing on top later. Stir well. Bring the mixture to boil. Switch off the flame when sauce begins to thicken. One of the ways to check about the readiness of the sauce is spoon test. 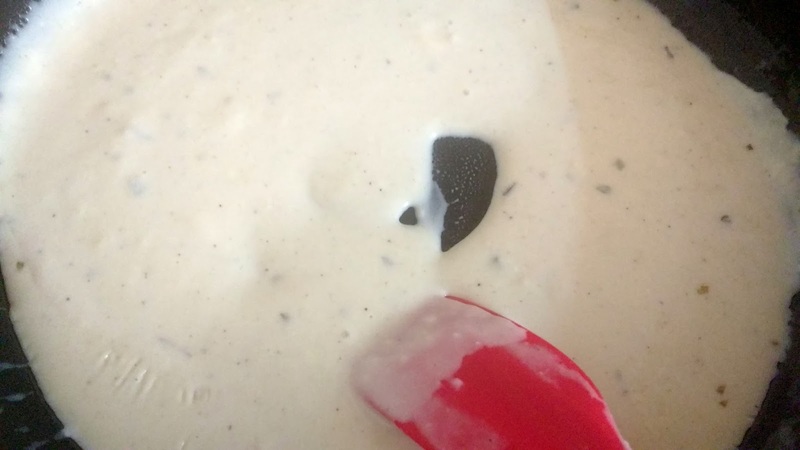 When the sauce begins to coat the spoon, it is a sign that it is ready and you can switch off the flame. Keep this sauce aside. Set the oven for preheating on 180 degrees Celsius. By the time oven is preheating let us proceed to next step. Arrange the broccoli florets in a baking dish. If the florets are big in size you can slit them into half and then arrange on a baking dish. Add peas,sauteed onion and garlic to it. Pour white sauce over it. 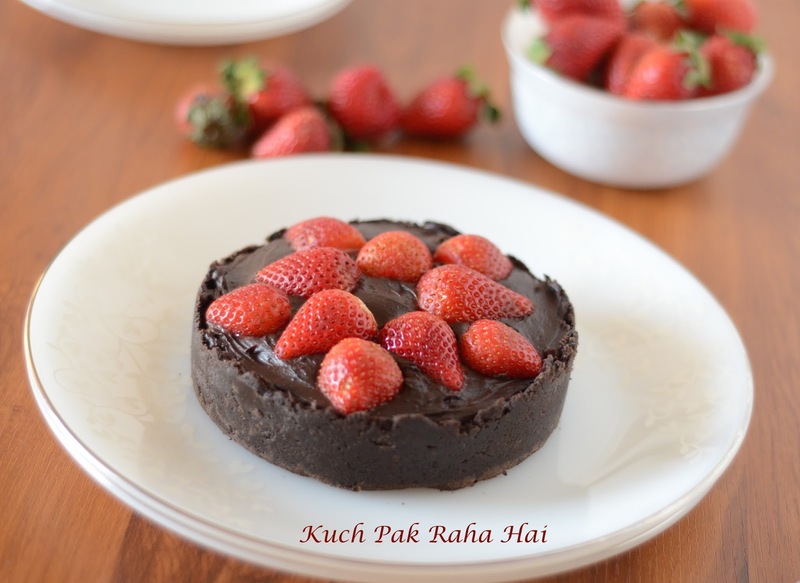 I have used Borosil square baking dish. To check its price or other specifications on Amazon, click here. As the baking dish I am using is deep, I am repeating the second layer on top of it as well. 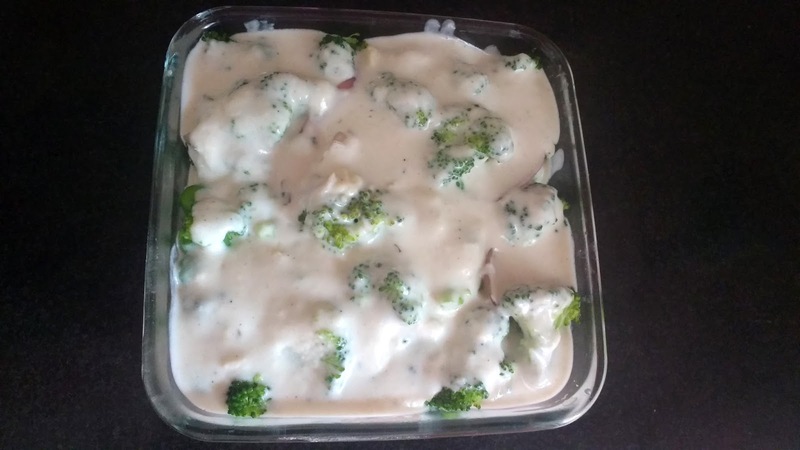 If you have larger baking dish which is not very deep, you can add all broccoli, peas, onion and garlic together and then pour white sauce over it. 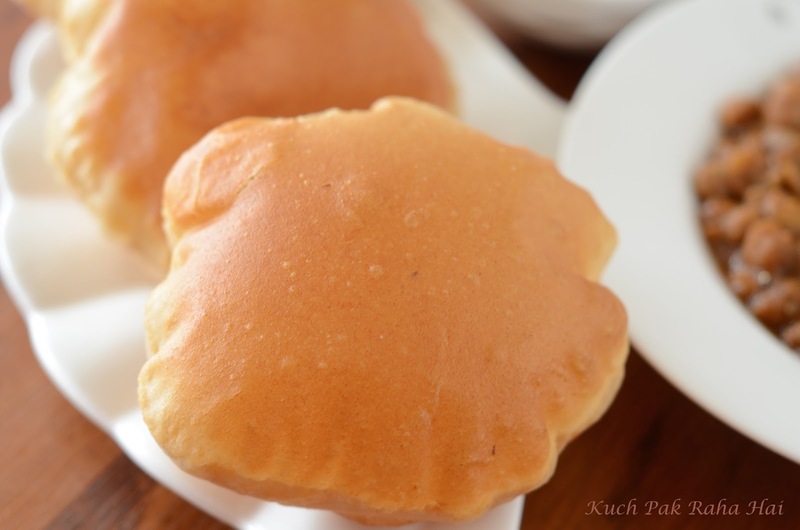 Keep the baking dish in a preheated oven and let it bake for 180 degrees Celsius for 30-40 minutes till the surface turns slightly golden at top. Sprinkle the remaining grated cheese in the end at bake for another 10 minutes to get that beautiful melted golden colour cheese on top. 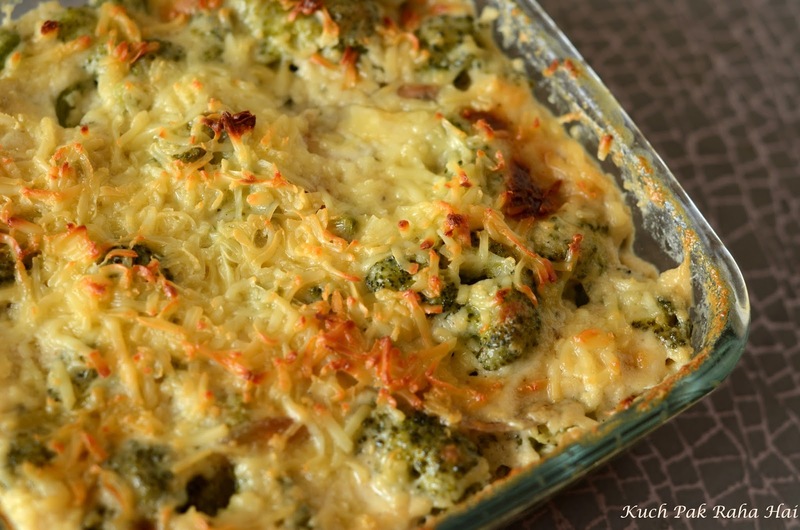 Your delicious creamy Broccoli Gratin is ready. Serve it hot with garlic bread or soup! !